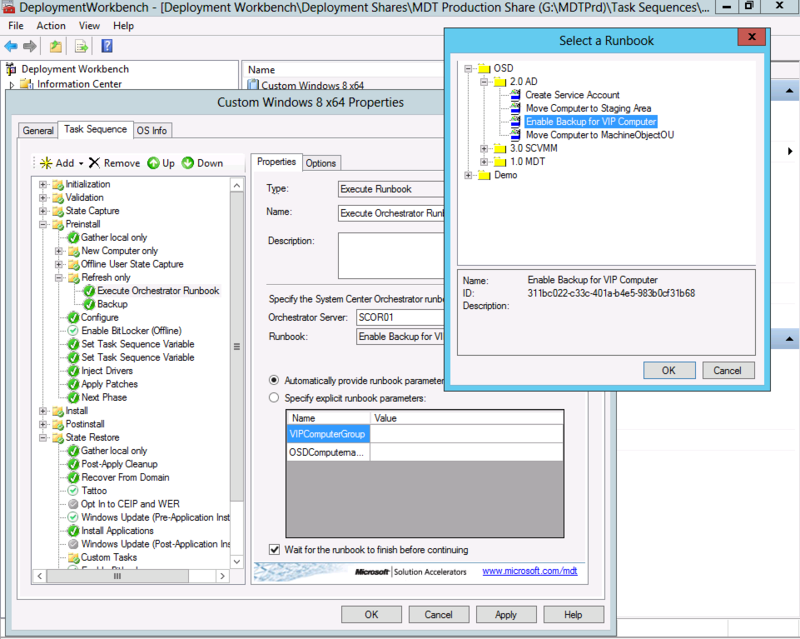 This is the first post in series of post that will focus on the integration between MDT 2012 Update 1 and System Center 2012 Orchestrator. 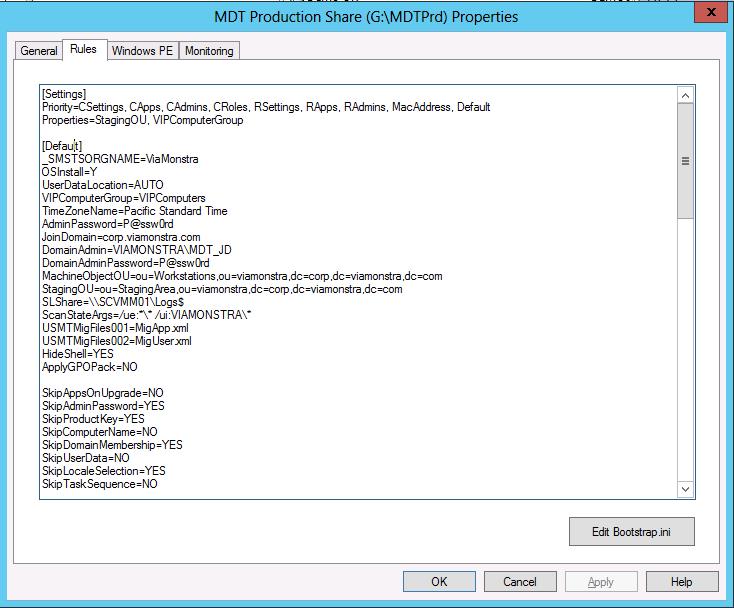 The company ViaMonstra is about to migrate to a new operating system. 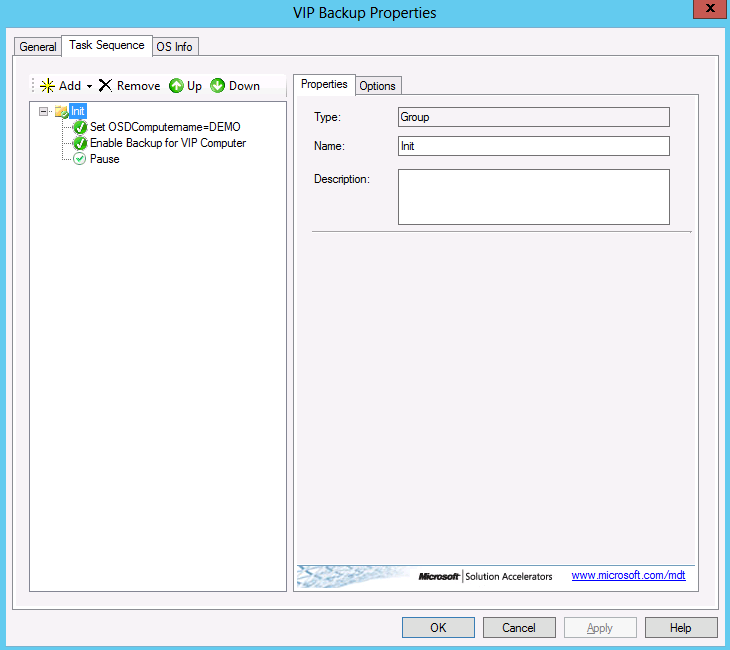 They will use the refresh scenario, but they would like to avoid doing backup of all computers. 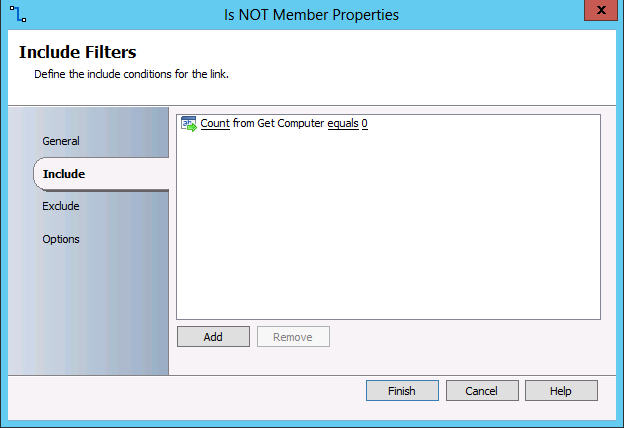 Luckily all VIP computers are a member of a global domain group. So what we need is a easy way to check the group membership of the computer. 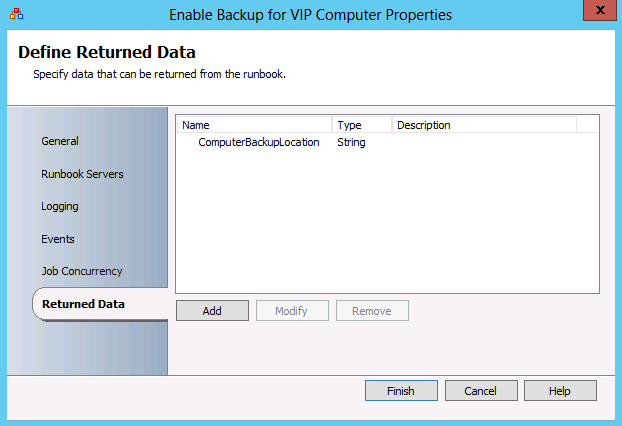 If the computer is a member of the VIP group we will do backup, otherwise we will not. 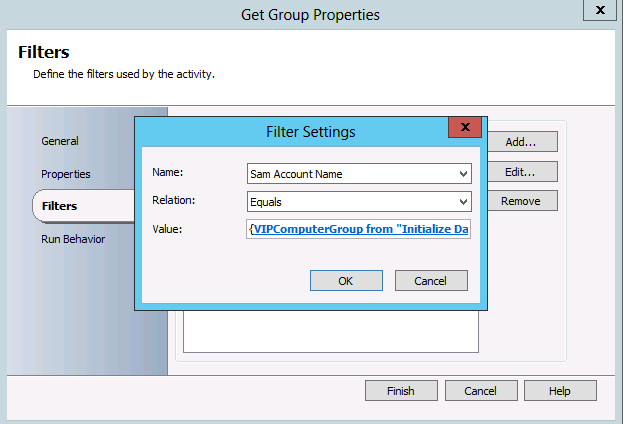 Create a runbook in Orchestrator that checks membership of the VIP group, add the runbook execution in the correct location in the task sequence, deploy and be happy. This is how the runbook needs to look. 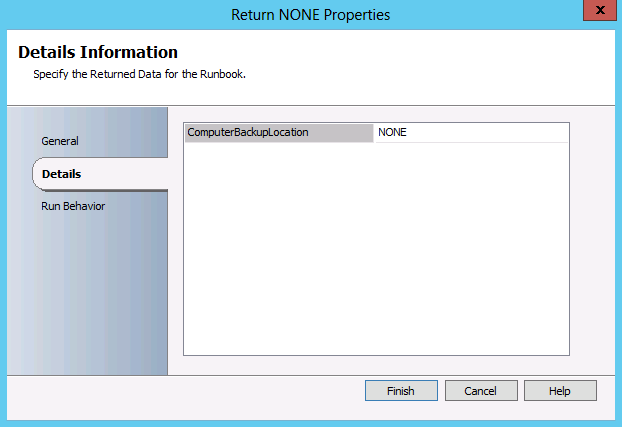 To configure the return property correct you need to configure return value by adding whatever you would like to return using properties on the runbook it self. 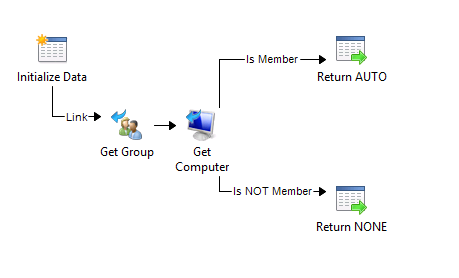 In the Task Sequence we will add runbook just before we fire up the backup, like this. 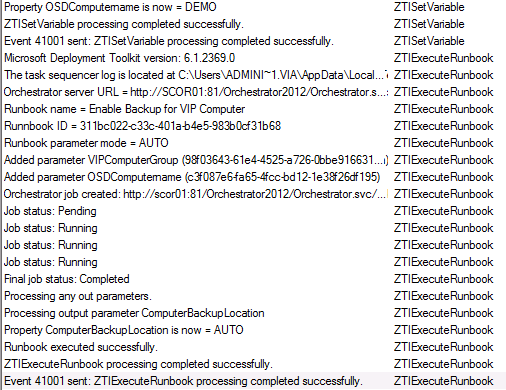 It is pretty smart to create a test sequence that only contains the runbook plus property values you need to verify that it works, to do that just create a custom task sequence that looks like this and then run the sequence using LiteTouch.vbs and check the bdd.log file. 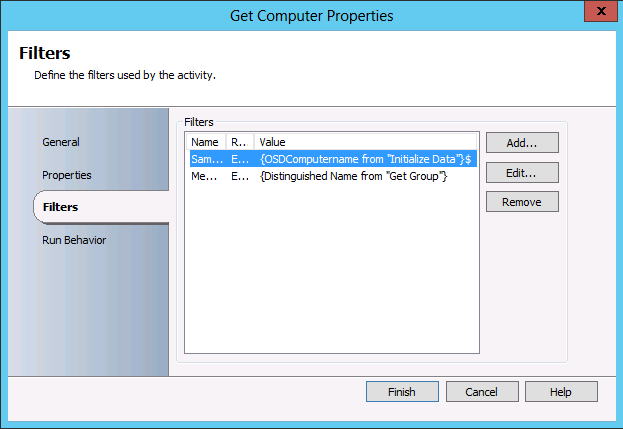 Here is how the test task sequence looks like.